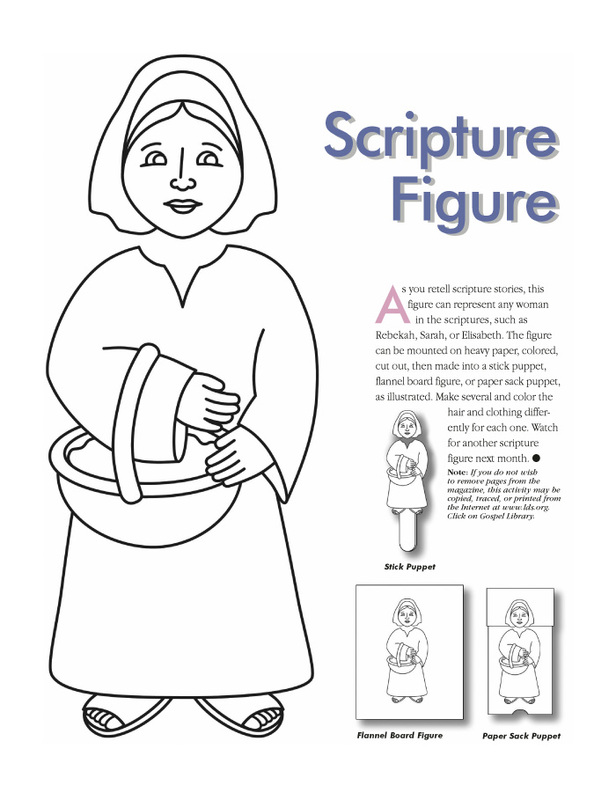 As you retell scripture stories, this figure can represent any woman in the scriptures, such as Rebekah, Sarah, or Elisabeth. The figure can be mounted on heavy paper, colored, cut out, then made into a stick puppet, flannel board figure, or paper sack puppet, as illustrated. Make several and color the hair and clothing differently for each one. Watch for another scripture figure next month. Note: If you do not wish to remove pages from the magazine, this activity may be copied, traced, or printed from the Internet at www.lds.org. For English, click on “Gospel Library.” For other languages, click on the world map.